Hi, everyone! You might notice that this group of 'pretty things' includes a lot of cold weather essentials. Guys, it's been so cold that feeling warm is all that's been on my mind so forgive me if you live in a warm climate where many of these things are totally irrelevant to you. The one thing I desperately need to invest in is a good, quilted parka and this one from Ralph Lauren is a great option. I'm also a huge fan of the Patagonia parkas, but this white one would look beautiful with my closet full of neutral clothes. Readers in cold climates, is there a heavy duty coat you recommend? Speaking of keeping warm, I love this buffalo plaid scarf! I have a thing for accessories that add a little pop of interest to your outfit but that still fit into the neutral palette. The muted colors and classic print of this scarf will look perfect with your cute winter looks. On a note that's slightly less traditional for winter, I have my eye on several long-line, lace bralettes. I've been head-to-toe in bulky layers of sweaters and leggings, usually wearing my Calvin Klein bralette underneath but I love the idea of a beautiful, comfortable bralette like this one from Eberjey. Back to normal winter pieces, how about a pair of earmuffs? My face and head get so cold, so whenever I see someone wearing cozy earmuffs, I get jealous. This pair from Ugg is so cute! Not only are they made of cozy gray shearling, they also have a built-in speaker so you can use them as headphones. Is this normal or is this a genius idea? I've found that when I'm home in the evenings when it's cold out, I really crave a relaxing face mask. Are you the same? I'm liking the idea of the Goddess Skin Clay Mask from Charlotte Tilbury. It's formulated to leave your skin dewy and glowing, but also tighten pores and work on blemishes. It sounds perfect to me. Finally, are you familiar with She Reads Truth? 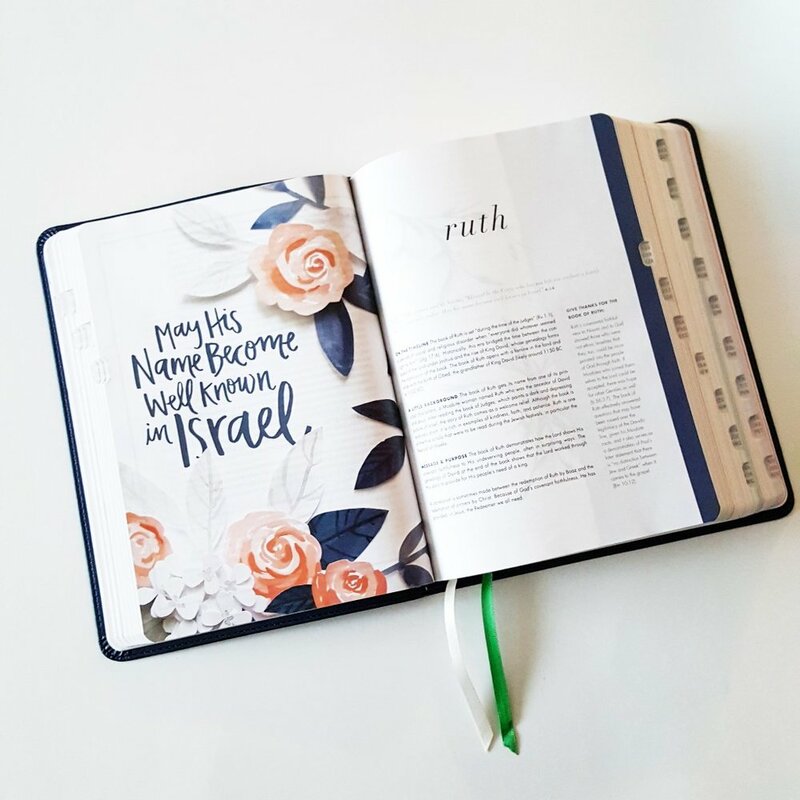 They're an online group that does amazing devotional studies and they actually have designed their own bible. The bibles are absolutely beautiful, nothing like the stuffy old leather bound ones you find in hotel drawers. Not only do they look pretty on the outside, they're also filled with beautiful illustrations and lettering on the inside.